Jadie Karratti-Abordo’s field experience showed her the realities of public health in some places in the world — in a way she couldn’t have imagined in a classroom. Jadie’s field experience was on Ebeye island in the Marshall Islands. And this is the reality of Ebeye: twelve thousand people squeezed onto a narrow island a mile long and 250 yards wide; 30 or more people sometimes living together in a single ramshackle shed. It’s an island where tuberculosis rates are very high, as are a range of other health problems caused by intense poverty and crowded and difficult living conditions. Jadie’s field experience was working with tuberculosis medical teams organized by the U.S. Centers for Disease Control to monitor tuberculosis and tuberculosis treatment on Ebeye. Jadie was born in Hawaii and was aware of the medical teams’ work in the Marshall Islands — about 2,600 miles southwest of the Hawaiian Islands — because her mother has been a public health nurse in Hawaii for most of Jadie’s life. Jadie spent about 25 days on Ebeye in March and April of 2017, helping collect and input data as the medical teams did tuberculosis and overall health assessments of more than 5,000 island residents. The goal of the teams is to help Marshall Island medical officials improve their tuberculosis program by developing more effective ways to diagnose and treat TB and ultimately decrease its incidence on the islands. Tuberculosis is prevalent on Ebeye in large part because of the living conditions. The disease is transmitted through the air, as people with the disease cough or sneeze or even speak. And Ebeye is one of the most densely populated islands in the world, with dozens of people often living in one small shack. 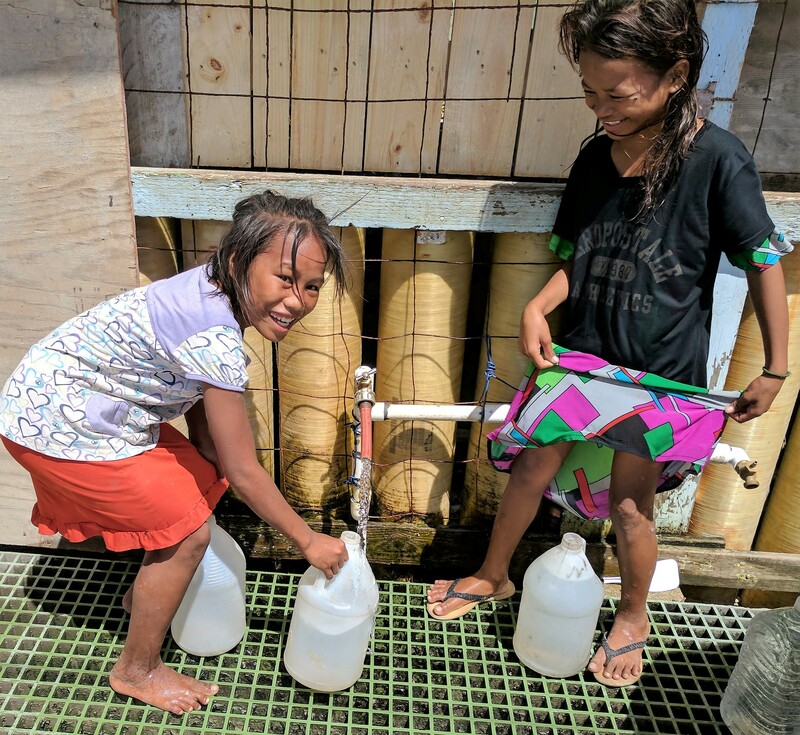 Island residents also have limited access to clean water, so the residents — often children — take the ferry with their empty five-gallon buckets to the nearby island of Kwajalein, home to a U.S. military base. They return with water their families then use for all of their drinking, cooking and bathing. “It really gave me a perspective on what other countries struggle with in comparison to America,” Jadie says. The experience also gave her insight into how she will be able to use her education in a number of ways in the pubic health profession, Jadie says. And the experience had a huge impact on what she wants to do with her career. Before she went to Ebeye, Jadie was thinking about pursuing public health work that focused on nutrition and food insecurity. Now, she is considering a job working on tuberculosis issues with the state of Hawaii, and maybe doing global work beyond Hawaii.